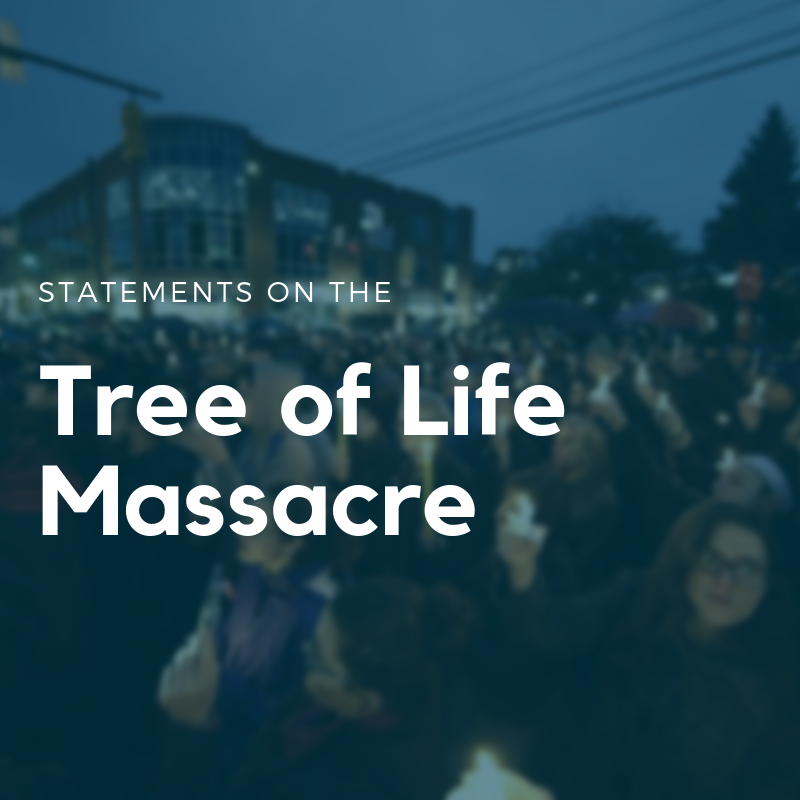 We continue to grieve for the lives lost, wounded, and shattered by horrific hatred and violence at Tree of Life Congregation in Pittsburgh this past weekend, the deadliest attack on Jews in the history of the United States. Interfaith Prayer Vigils were held across Virginia from Williamsburg to Roanoke for the victims. Presiding Bishop Eaton and Bishop Humphrey released a pastoral messages this week. You can read both of their messages on the Virginia Synod website. 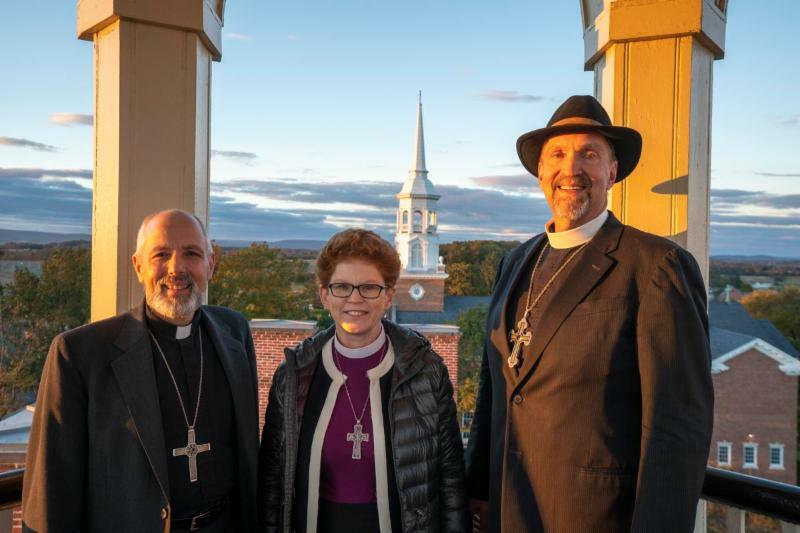 This past week, Bishop Humphrey, along with five other ELCA Bishops from across the country, visited United Lutheran Seminary (ULS) Gettysburg Campus. The visit provided opportunities for the bishops to interact and create relationships with students at ULS for the future. You can learn all about this visit from ULS Interim President Dr. Richard Green's latest newsletter. On October 20th, Wheatland Lutheran in Buchanan held their annual Tract-or-Treat event, which provides a great opportunity to celebrate agriculture, Halloween, the local community, and feeding others. While kids got to trick or treat from tractor to tractor and fill up their buckets with candy, the tractors buckets are also filled with non-perishable food items and pet food! 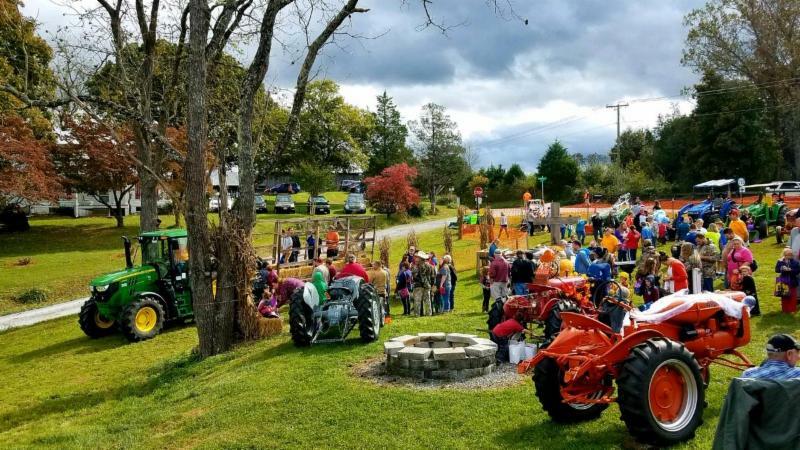 This year's festivities featured 20 tractors ranging from antique to brand new!By the end of the event several tractor buckets were completely full. All of the food will be donated to the local food pantry. Tractor-or-Treat also helped the Wheatland youth group raise a significant amount of money from food sales to be used for expenses for the National Youth Gathering in 2021. What a wonderful event for all! 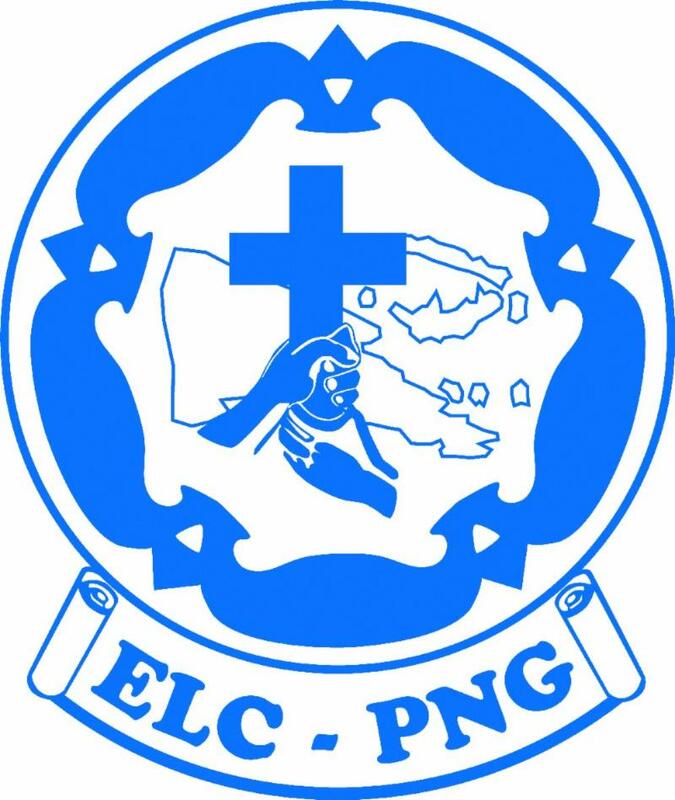 The New Guinea Islands District of the Evangelical Lutheran Church of Papua New Guinea will to elect their next president (bishop) this weekend on Saturday, November 3rd. We request prayers of guidance, comfort, and unity for those voting members, and those discerning the call to this upcoming time of transition. Synod Council approved a new schedule for the 2019 Synod Assembly: Friday, June 7 through Saturday, June 8 at Roanoke College , so be sure to mark your calendars. We can't wait to see you then! For further information call LMPC at 630-627-0507 or email us at admin@LMPeaceCenter.org. Detailed brochures with a registration form are available at lmpeacecenter.org/brochures. To register online via Brown Paper Tickets, visit our website at www.LMPeaceCenter.org/registration. Today’s social and political climate can leave us at a loss with how to respond in productive and faithful ways. 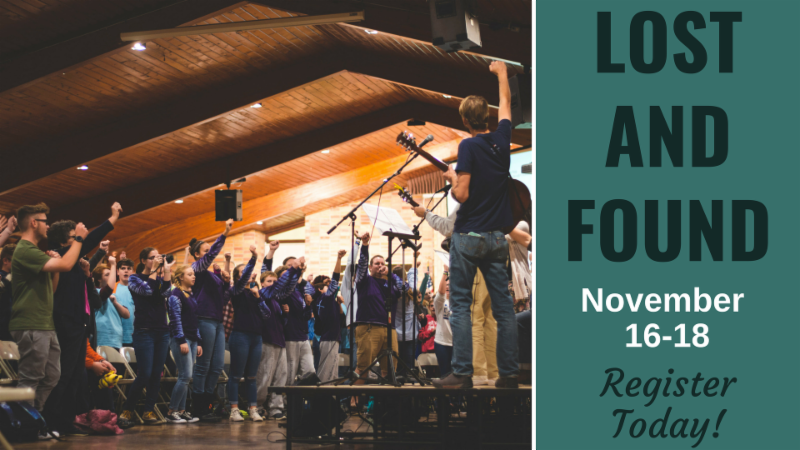 This conference for both laypeople and rostered leaders will take a look at why and how Christian communities have long understood the practices of worship, prayer and song as influences and guides that help us address and counter social division and concerns as well as the separation we may experience within and between our faith traditions. And what better place to sit down together to discuss and practice hopeful and faithful signs and actions that can lead to healing and reconciliation than in Charlottesville? This conference, titled “Praying, Believing, Doing: An Ecumenism of Liturgy and Life,” begins on November 30, at 6 PM and concludes on December 1st at Noon. The event begins at Market Street Park in front of First United Methodist Church 101 E. Jefferson St. Charlottesville, VA where our bishops will individually offer prayer for peace and unity. Our presenter, The Rev. Dr. Karen B. Westerfield, will then lead us throughout the evening and again on Saturday in seeing how praying, believing and doing affect how we act toward our neighbor and the world, and speak to our quest for justice, reconciliation and peace. For a brochure, contact your pastor, the Virginia Synod office or Pastor Eric Moehring ( ericjohnmoehring@gmail.com; 804-517-3073). Please register ($35; students no charge) by Nov. 17, but know that registrations will be accepted at the event. Or register on line at virginialarcum.org. Remember to make your own motel reservations as needed. See you in Charlottesville. The Evangelical Lutheran Church in America (ELCA) Advocacy Office and Federal Chaplaincies invite you to join us on Thursday December 6, 2018 from 4:30 to 7:00 PM in dedicating our new office located south of the U.S. Capitol building at at 218 D Street SE, First Floor Washington, DC 20003. Special guests include ELCA Presiding Bishop, the Rev. Elizabeth Eaton and invited Lutheran Members of Congress. Come and meet with our Lutheran advocacy staff; local ministries; interfaith partners; congressional staff; senior chaplains from the military services, Veterans Administration, and Bureau of Prisons; ELCA practicing chaplains; and more. Presiding Bishop Elizabeth Eaton will lead a small delegation in a wreath laying ceremony at the Tomb of the Unknown Soldier at Arlington National Cemetery. The event is open to the public and requires no reservation. This ceremony follows the Changing of the Guard on Pearl Harbor Day, Friday, December 7 at 11:00 am . Lay members and rostered ministers of the ELCA are invited to attend. Bishop Humphrey is planning to attend. For information about Arlington National Cemetery and the Tomb of the Unknown Soldier, visit: www.arlingtoncemetery.mil/Explore/Tomb-of-the-Unknown-Soldier . Please keep in mind, the walk from the Visitors Center to the Tomb of the Unknown Soldier is about 10 minutes up hill. Make sure you're wearing comfortable shoes and can make the journey. Also, the tour tram stops at both locations. The ELCA is invited to join the global community on Dec. 1 to commemorate World AIDS Day. This is a day for a time of remembrance, awareness and commitment to action, especially in our calling to a strong and faithful response that’s set forward in the ELCA Strategy on HIV and AIDS. Go to ELCA.org/hiv for World AIDS Day resources, including a bulletin insert, worship resources and a video message from Presiding Bishop Elizabeth Eaton. The Ignite the Church Conference is an annual gathering on February 19-21, 2019 that seeks to further Kingdom impacting conversation among leaders that will ignite the Church and help it live out its heritage of renewal in the years ahead! Speakers include Bishop Pedro Suarez, Florida Bahamas Synod, Rev. Dr. John Herman, and Beth Lewis, President and CEO Emeritus of 1517 Media. All proceeds from the event support the ELCA Fund for Leaders. For more information, check out their website: ignitethechurch.net . Lutheran Theological Southern Seminary (LTSS) of Lenoir-Rhyne University welcomes nominations and applications for a dynamic and innovative leader to serve in the position of Rector and Dean of the Seminary beginning as early as January 2, 2019 and no later than June 3, 2019. The Rector and Dean of the Seminary is a full-time appointment reporting directly to the President of Lenoir-Rhyne University. The primary duties of this position are to serve as the lead academic and church administrator for LTSS and to further develop LTSS as an exemplary seminary within the Evangelical Lutheran Church of America (ELCA) and among its ecumenical partners.